A Baxter Process greeting card printed and published by Kronheim & Co. circa 1860. Size about 12.5 x 9 cm. 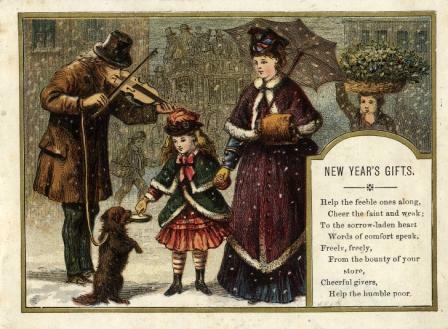 The firm of Kronheim & Co. printed a number of Christmas and New Year cards using the Baxter Process.